Finish Hardware Technology has moved to a new location after more than 20 years in the same 2nd story office on Saticoy Street in North Hollywood, CA. Effective June 1, 2009, we will open for business at our new office just over 2 miles away in Panorama City. We’re excited about this move and believe we’ll be able to serve our client base more effectively from our new office area specially designed for our firm. Our new space is brighter, encourages collaboration, and offers an even better work environment for our staff. We have built in infrastructure for voice and video conferencing and hope to have those up and running soon. For our clients involved in airport or government work, we will still have our DBE certification in the new location. It constantly amazes me that the cheapest, lowest-quality door hardware is often installed at the most prominent and most used doors in the building–at the aluminum storefront and glass entry doors. 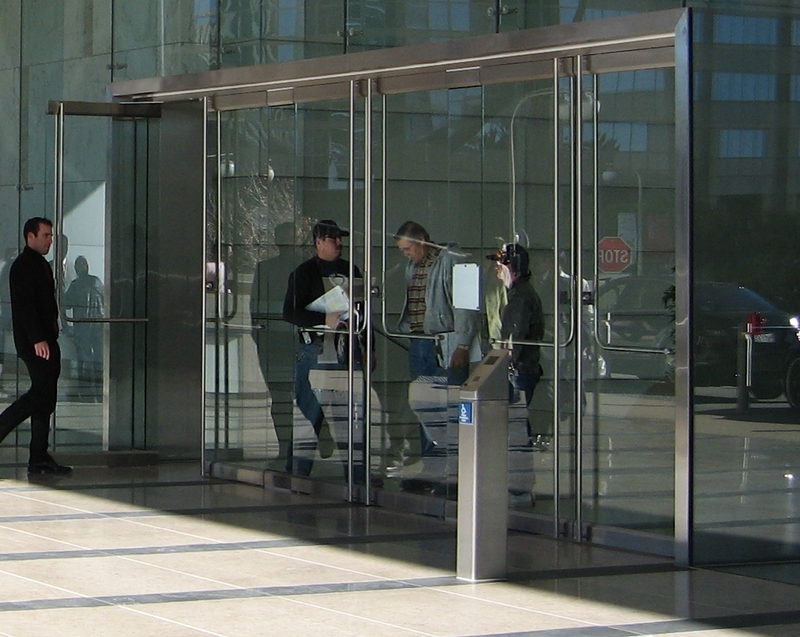 In fact, more expensive and better hardware is typically applied to the janitor door than the beautiful glass entry doors. Why? Because often the General Contractor will split off the door hardware for the storefront and glass doors to the company that is also supplying the doors. The curtainwall or glass company will invariably try to substitute the cheap door hardware that is on their shelves in lieu of the specified products. 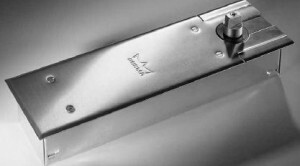 FHT strongly recommends using only multi-sized closers at exterior doors. 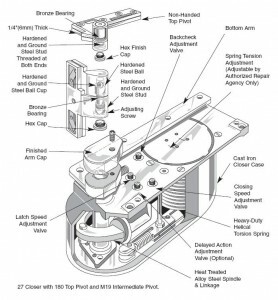 That means the spring power can be adjusted over a wide range of opening and closing forces. Since accessibility codes require low opening forces (currently 5 lbs. in California), the building owner may need the option of re-adjusting the closer’s spring power to ensure that the door closes and latches. With a sized closer, if you need a stronger closing force, that typically means buying a new door closer. The multi-sized requirement knocks out the thin slab sized floor closers and the sized overhead concealed closers. 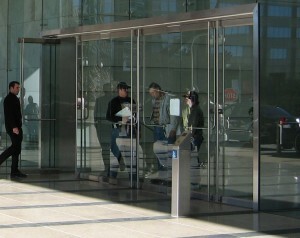 Surface closers work well, but have an aesthetic and practical drawback on storefront and glass doors. 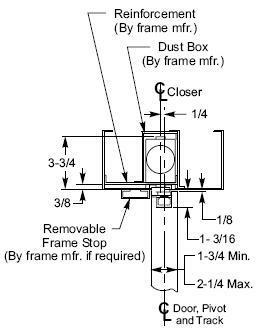 Overhead concealed closers that are multi-sized require a 4-inch high frame head. The substantial weight of the door rests on the floor closer (and, therefore, the floor), thus preventing door sag due to failing hinges. Rixson floor closers models are available for doors weighing up to 1500 lbs. 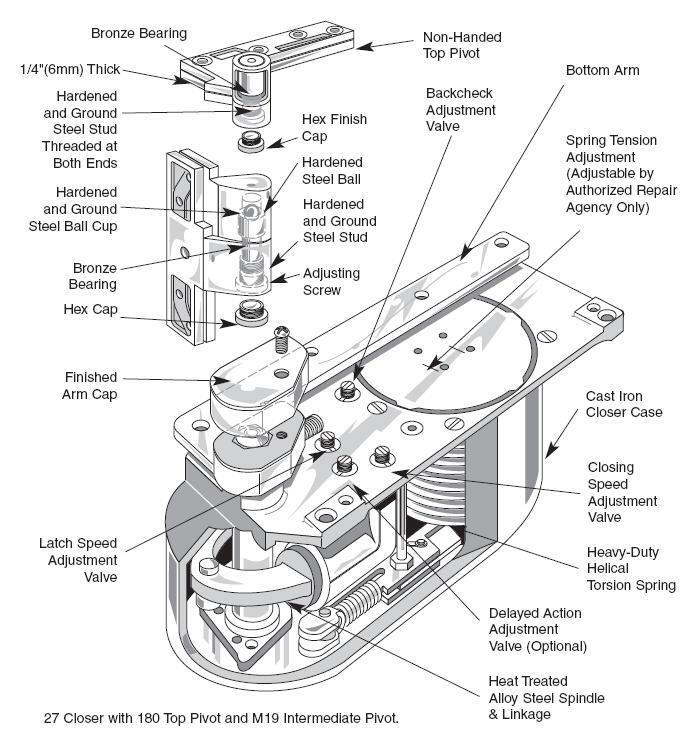 The helical torsion spring creates an incredibly efficient door closer (over 80% efficiency). This means Rixson heavy-duty floor closers can be set to open with 5 lbs. opening force, yet still have 4 lbs. closing force. Surface closers are typically only around 60% efficient (3 lbs. closing force if the closer is set to 5 lbs. opening force. Rixson heavy-duty floor closers have a built-in hard stop that is factory set at 85°, 90°, 95° or 105°. With adjustable hydraulic backcheck, this ensures that the door will slow to a cushioned stop when swung open by pedestrians or wind. 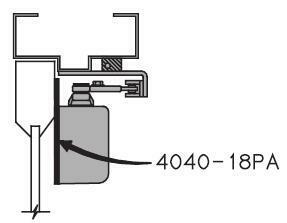 Light-duty overhead concealed closers (think Jackson, International, and Dorma) purport to stop the door from overswing, but you’ll soon see a sticker on the door for 24-hour closer repair because of their propensity to leak and lose control. The massive Rixson 27/28 floor closers are designed to withstand daily use by hundreds and thousands of pedestrians. They are the most durable closers available. Of course, one of the most obvious benefits is that the closer is almost completely hidden in the floor, leaving nothing to detract from the beauty of the door. Rixson heavy-duty floor closers do take some time and effort to coordinate because of their 4″+ deep case, but the result is well worth the effort. We’ll address coordination tips and floor closer options in future postings. We welcome your comments. Why Hire an Independent Door Hardware Consultant? A written legal contract between the consultant and the architect. (Note that sometimes we are contracted directly by the building owner.) The consultant becomes an official member of the design team. Seeks to perform well for client so as to earn future business. Seeks to gain maximum commission from hardware manufacturer. Competitive specification written with products trusted by the consultant and meeting the project’s functional, aesthetic and durability requirements. Owner’s and architect’s preferences are respected and integrated into specification. Proprietary specification in represented products. Because products are limited to specific brands, project requirements often receive secondary consideration. Higher cost products are often specified (thus generating higher commissions). Slightly increased design costs. Lower build costs due to competitive specification and appropriate products. Slightly decreased design costs. 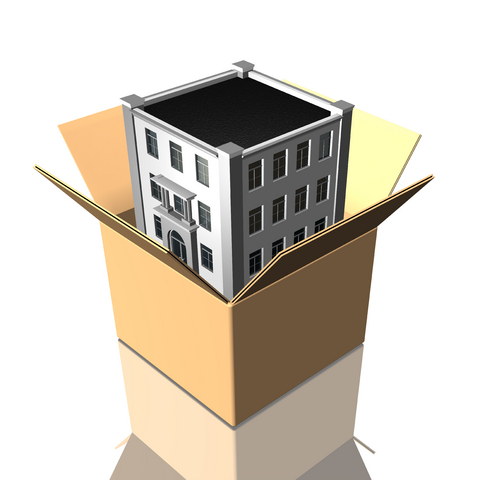 Higher build costs due to proprietary specification and, in many cases, inappropriate or excessively-costly products. Set fees agreed to in contract. The hardware consultant fees are typically the least of all consultants on the project. Free. The hardware manufacturers pay the salary of the representative. Finish Hardware Technology welcomes you to our new website and news/tips section. We will be posting news and architectural door hardware tips reguarly, so please check back soon.